We are an OSHBOTY (Oregon State Homebrewer of the Year) http://www.oshboty.org/ sanctioned competition! Entries will be judged under the 2015 BJCP Style Guidelines. Ribbons & prizes will be given for Best of Show, Best of Show Runner-Up, Highest Scoring Entry, as well as COHO medals for 1st, 2nd and 3rd place in individual categories. 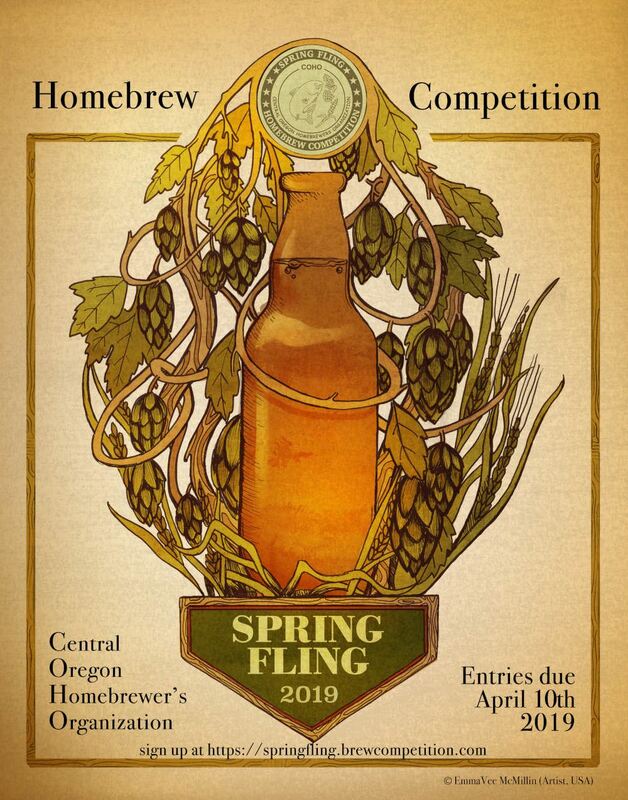 A reception featuring finger food and beer including a raffle & awards presentation will follow the BOS judging on Sunday. The reception & raffle is open to all COHO members, competition entrants & their guests, competition staff, judges and sponsors. If you submitted an entry and are unable to attend this event, COHO will mail your medal to you; PDF files of score sheet(s) will be emailed if not picked up at the event. Prizes cannot be mailed. We are unable to accept entries the day of the event. Entrants must submit 3 crown-capped 12 oz. bottles with a completed BJCP bottle ID form attached with a rubber band and a BJCP Entry Form. Recipe information is required only if special ingredients are used. All bottle caps must be blank or blacked out, and no swing-top (Grolsch Style) bottles will be accepted. Fees are $7 per entry with a limit of one entry per individual BJCP sub-category. You can pay via the competition website or by check. Make checks payable to COHO. NOTE: The competition software will automatically fill out your BJCP Bottle ID and Entry Form after you complete the on-line registration.